The majority of our mattress reviews focus primarily on foam mattresses. And while foam mattresses have grown increasingly popular in recent years, they’re not the only luxury mattresses that have made waves in the industry. Saatva and Beautyrest are two coil mattress producers that have done a great job of making extremely comfortable mattresses in a fairly conventional way. The former is a relative newcomer to the industry, while the latter has been selling mattresses for decades. This comparison will give you all the information you need to make the right decision if you’re thinking of buying one of these two mattresses. Remember, we have plenty of other reviews on our website, so if you don’t think either of these mattresses is suitable try and have a look at some other comparisons in our database. Saatva is one of the newest entrants to the coil mattress industry. They believe they can find a cheap alternative for those who are trying to buy a high-end mattress without the associated cost. Saatva uses a combination of coils and foam to produce their mattresses – for this reason, they are considered a hybrid manufacturer. Saatva offers some of the best warranty coverage in the industry. They provide 15-year warranties with all their mattresses. In addition, they give you a 120-day trial period in which you can return your mattress if you don’t like it. Both of these timeframes are way above industry standards – you’d be silly not to take advantage of theme. The only downside is that Saatva doesn’t offer free shipping – you have to pay $99 and it can take up to two weeks to arrive at your door. The Saatva is made from four layers of extremely advanced foam coil combinations. You’ll find that they’ve been able to produce an extremely unique mattress. They also use these layers to help create additional edge support for the mattress. This is one of the reasons they’ve been able to so successfully penetrate the market. We will explore each of those layers and what they contain in further depth below. This layer is the first thing you come into contact with if you lie on a Saatva mattress. It is constructed using a pillow top material – this is much different than any other mattress on the market. This layer is an extremely thin memory foam layer. It provides a nice, soft feel for the top of the mattress. It also acts as a transition layer to the bottom layers of the mattress. The thin nature of this layer ensures that it doesn’t retain too much heat. This layer is where the coils come into play. There are hundreds of micro-coils that make up this portion of the mattress. They are all wrapped in foam in order to ensure that they have as soft as an impact as possible. This is the support layer of the mattress. This layer is manufactured using high-end steel coils – there are also hundreds of these coils inside the base of the bed. One of the major advantages that Saatva offers with this design is a wonderful degree of edge support. Edge support is the strength of the sides of your mattress. It is what prevents you from rolling off if you get close to the corner of your bed. The coil system ensures that there is plenty of edge support available. Saatva takes a different approach than most manufactures when it comes to their mattress covers. Instead of artificial materials, Saatva uses organic cotton to produce their covers. This may sound strange, but the cotton has a number of benefits. Firstly, it is very fire resistant, which means that it is much safer than its artificial counterparts. Secondly, it is very easy to clean, which can make maintenance much less stressful. Lastly, cotton is both soft and breathable, which allows for an enjoyable and cool sleep. Plush Soft – This is the softest of the choices. This provides a hug and contour around your body. This is best for people who don’t need as much support when they sleep. This will not be suitable for heavier sleepers. It scores at a 3.5/10 in terms of support. Luxury Firm – This is a nice mix of support and comfort. It’s perfect for anyone who is of a normal weight distribution but wants to feel as though they sink slightly into their mattress. This is one of the most popular models they offer. It scores at a 6/10 in terms of support. Firm – This is the most supportive out of the mattresses on offer. It is much firmer than the rest of the mattresses. This is perfect for those whom are much heavier sleepers. It scores an 8/10 in terms of support. As you can see, the comfort and support you get from a Saatva mattress will largely depend on your personal preference. 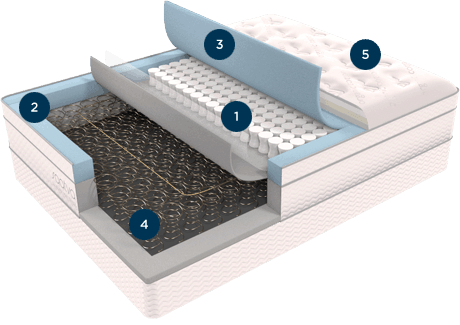 The different layers in the mattress are adjusted depending on the type of mattress that you choose. Remember, Saatva mattresses are much more breathable than traditional foam mattresses. One of the reasons for this is because the coils provide space for air to dissipate. Shipping – costs $99, will take 7-15 days. It comes with setup. They also offer the option to pay $40 for takeaway service. Warranty – 15 years, covers any body impression greater than or equal to 1.5”. Beautyrest is another coil and foam mattress producer that has been around for much longer than Saatva. They’ve been making high-end mattresses for decades. 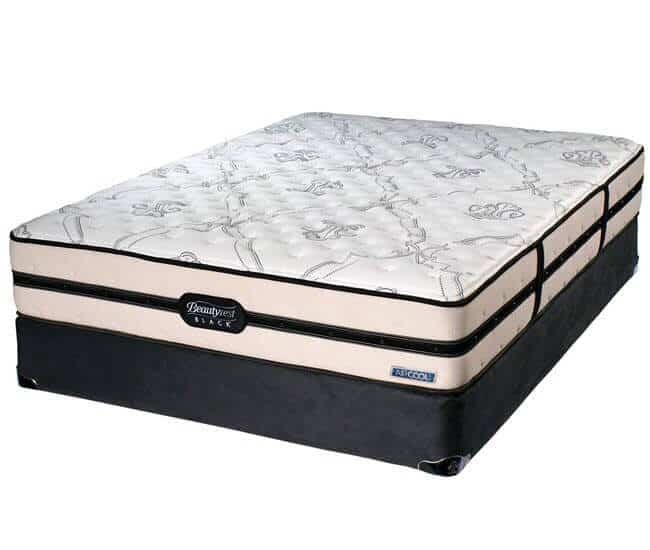 Beautyrest is considered one of the traditional luxury mattress producers in the United States. They produce a range of different mattresses, but for the purpose of this comparison we will be focusing on the Beautyrest Black mattress. Beautyrest offer a 10-year warranty on their products, as well as a 100-night trial period. Unfortunately, you won’t be able to get a refund, but you can exchange it for a different mattress type if you like. They also provide free shipping for their customers. The Black mattress is made using a four-layer system. It is a total thickness of 13.5” – meaning that it is one of the thickest mattresses on the market. We will explore each layer in further detail below. This layer is made using a high-end memory foam – it is 2.25” thick – the perfect amount to allow comfort but prevent too much heat retention. This is a great material to come into contact with when you first lie on your mattress. It alleviates pressure and stress. This layer is made using a gel foam – it is only 1” thick. This is in place to help reduce heat retention and provide additional comfort. This layer is made from another thin layer – this time of regular memory foam — 0.5” to be exact. Again, this is in place to add comfort to the mattress. This is the thickest portion of the mattress. It is 9.75” thick and consists of coils. This is the portion of the mattress that provides both support and breathability. As mentioned previously, edge support dictates how strong the sides of your mattress are. The coils in the mattress have been able to provide a great degree of edge support for the entire mattress. The Black mattress cover is constructed using a blend of lyocell and polyester – a combination that creates a durable and stretchy cover. This is great as it provides additional support to the mattress, as well as protects it from wear-and-tear. It is also extremely easy to clean if an accident or spill occurs. Unlike the Saatva, which offers a range of different mattress options, the Black mattress only comes with one design. We’ve tested it extensively and determined that it scores at about a 6/10 on the mattress support scale. This puts it in line with the Luxury Firm edition of the Saatva mattress. It provides plenty of support for those who weigh a normal weight, as well as for those who are underweight. For those who need more support, this is probably not the right mattress for you. This being said, the edge support on the mattress is really great, and seems to be able to handle almost any weight. In terms of comfort, the Black does very well. This is to be expected with a brand like Beautyrest behind the name. The multiple layers of different memory foams mean that you will feel like you’re floating on a cloud when your first lie on the mattress. The material will hug your body and create a nice shape around you – it is similar to the Tempurpedic Cloud in this regard. 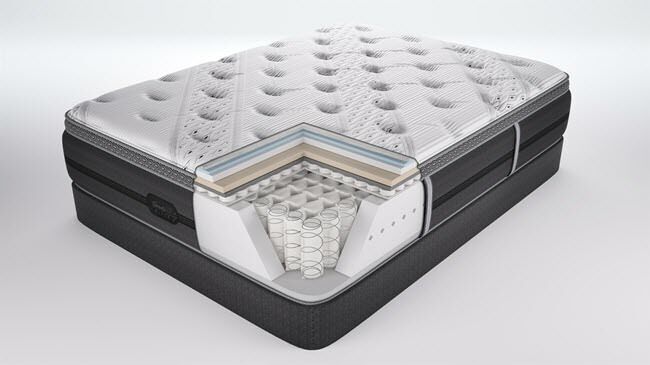 In terms of breathability, the large amount of coil space means there is plenty of air running through the mattress, which provides much better cooling. At the end of the day, the Beautyrest Black is much more expensive than the Saatva. Beautyrest produce some of the most expensive mattresses on the market, and that is evident in the price list provided below. Keep in mind this is one of the cheapest mattresses that the company produces. Both mattresses have their own unique advantages. The Saatva tends to be much better value, purely because it is a quality product at a significantly cheaper price. 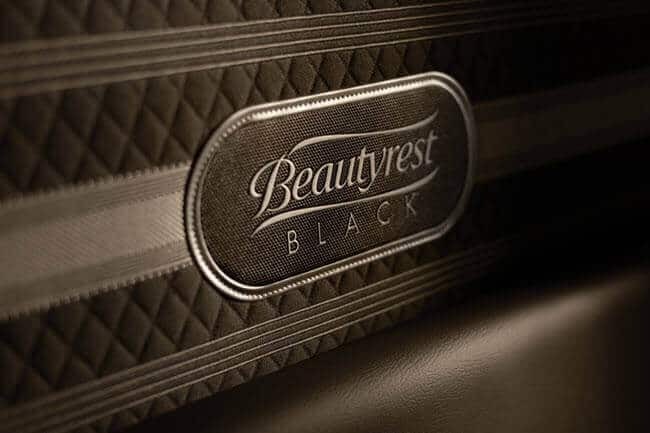 This being said, the Beautyrest Black is one of the most luxurious coil mattresses on the market – it truly is the perfect combination of foam and coil. The memory foam elements of the mattress are beautifully counteracted by the coils at the base of the mattress. 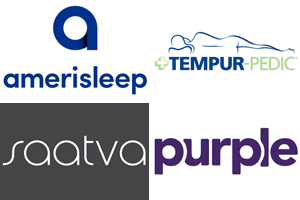 Saatva has a unique advantage in that they offer a wide variety of mattress types. You have three choices to choose from, so you can be sure that one of them is going to be able to provide the mixture of support and comfort that you’re looking for. If you’re a heavier sleeper, the Saatva Firm is going to be the best option available to you out of the mattresses mentioned in this comparison. Remember, you can’t get a refund on the Black, so you need to be sure you know what you are purchasing before you buy it. 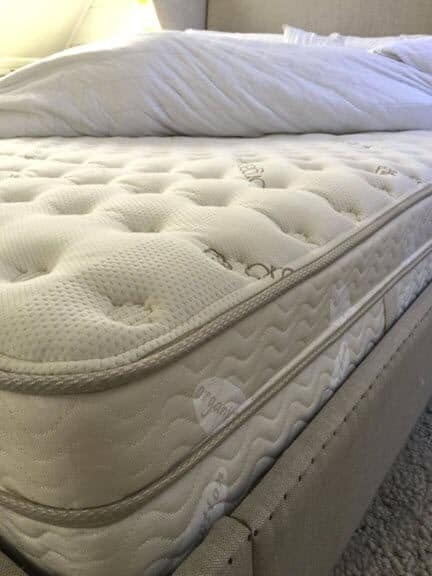 While you can exchange it for another mattress, this may not be a great tradeoff for you if other Beautyrest mattresses don’t meet your needs.